Already available Plants vs Zombies gain. Plants vs Zombies Mod 1.7.2 and 1.6.4 is a new version of a mod which stopped updating some time ago. This new version, for this new version you can create four types of plants based on the game Plants vs Zombies who will be responsible to defend yourself from the zombies, as these will be your main goal. These four plants are: Sunflower, Pea Shooter, Snow Pea and Repeater. If you want the zombies be walking around yoiur home, just plant these new plants arount it and let them defend you. This is a mod in development that will be improving it’s possibilities by the time, but now is already available for use, so we bring it to you to start enjoying it. 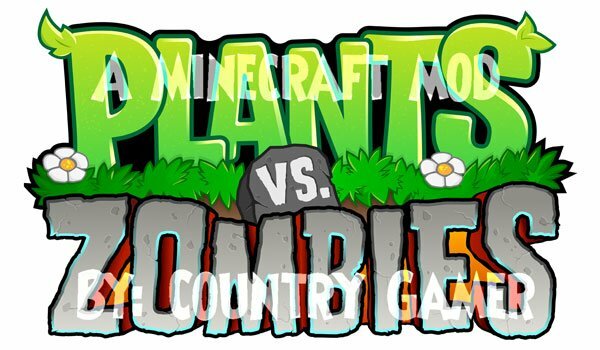 How to install Plants vs Zombies Mod for Minecraft 1.7.2 and 1.6.4? Paste the downloaded mod file into .minecraft/mods folder. Let Plants to defend you from crazy zombies!